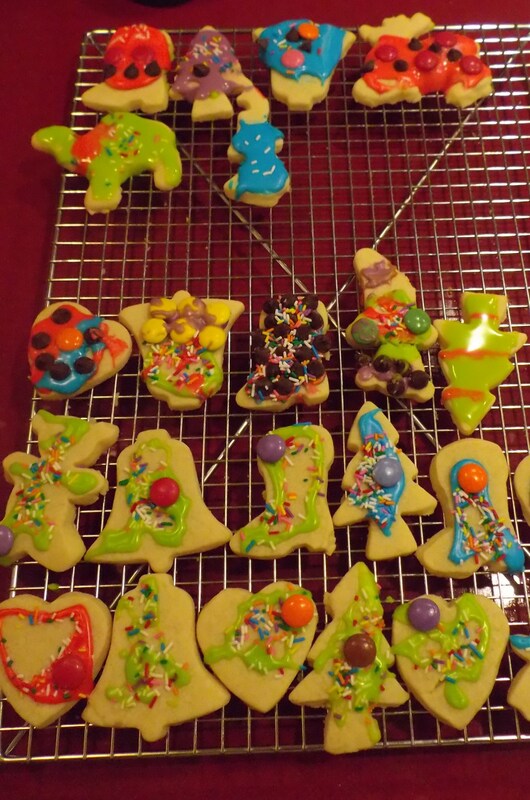 No Christmas at our house is complete without the magic of sugar cookies that we like to ice and decorate with candies and sprinkles. The kids and I rolled up our sleeves this afternoon and my son counted our cookie cutter collection to 19 now. Tomorrow we are onto gingerbread men, a Christmas reading by a local famous actor, and a Christmas Alive celebration that recreates the story of Christmas with llamas and donkeys and sheep.